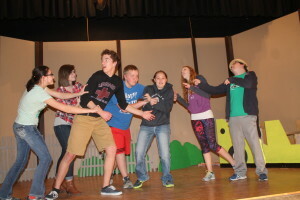 Colome High School will present two short plays on April 1 and 2. The plays will be presented at 7 p.m. each night at the Vets Hall in Colome. The plays are directed by Joy Seegers with Maggie McCarty as stage manager. The cast of “You’re Driving Me Crazy” include Megan Seegers, Morgan Hofeldt, Jordyn Seegers, Trenton Seegers, Grace Campbell, Christian Clairmont, Evan Cole, Hanna Rowe, Kylie Debus. The cast of “10 Ways” includes all the students that are in “You’re Driving Me Crazy” plus Eli Kortan, Becca Marso and Jaclyn Laprath.